Is it Necessary to Outline Fonts in InDesign? 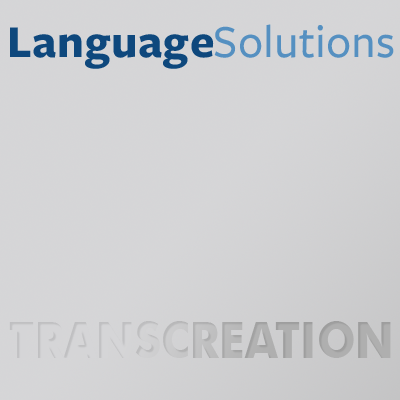 | Language Solutions Inc. When delivering translated text that is typeset in InDesign, we often get the request to send back the InDesign files to the printer. This is usually not an issue when the translation is set with the same font as the English. However, it’s common practice with Asian languages or languages with complex font layouts for printers to request design files that are outlined. Outlining fonts has the benefit that the type is vectorized into a path and therefore permanently “set” in the design, rather than being “live text” that calls upon a font that often is protected by copyright. 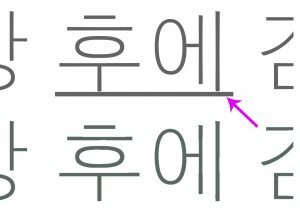 It is also still the case that InDesign does not package CJK (Chinese, Japanese and Korean) fonts just like they do not package Typekit fonts (another issue that makes transfer of fonts difficult; read about font license issues with Multilingual Typesetting). That means that the font is not included in the transfer unless they are sent separately. How do you Outline Fonts? Outlinig fonts is a standard option in InDesign under the Type Menu (Type > Create Outlines) whereby the program interprets each font as a geometric description that can be scaled to the highest possible resolutions that a printer can output. This process is called “creating outlines” because the character’s outline is turned into a vector shape. Outlining eliminates the need for fonts to be distributed with the design files for which often licenses are needed or specific composer settings are required to render these properly. Outlined fonts in InDesign are easily identified by the green path outline around each character. The chacters can still be modified by changing the path and you can change the fill. However, none of the text information is retained, so outlining fonts should be done carefully and saved in a separate file to avoid losing your data. Live Text (on top) shows underline. Outlined Text (bottom) shows the underline removed. The process by which InDesign outlines fonts is not without any flaws. InDesign makes use of the glyphs in the font file to interpret the vector information, but InDesign ignores things like underlined text or strikethroughs because these are added by the program and are not part of the font. This is a major gap and a potential quality control risk because it changes the output. Outlining also tends to ignore paragraph styling and it has moved lines around in the past when we worked on these. This means that outlined files must be verified against the original design to make sure nothing fell off or got moved. Should you Outline Fonts or Not? If it is possible for printers to work with press-ready PDF outputs, there should be no reason for them to require outlined files. In fact, it should probably be discouraged to avoid any issues down the road. Press Ready PDF outputs are easily created in InDesign. In the translation work we always work with our client’s design and as long as it is set up correctly for output, it’s best to embed all the live text into a PDF for final printing. The main purpose of outlining is to prepare an InDesign file for printers that do not want to mess with font permissions and have their workflow set up to work with InDesign files. After going through several discussions online, there doesn’t seem to be a concensus on whether any of the PDF standards such as PDF/X always is the better alternative for printers who need their file set it up according to their workflow. There are simply too many variables involved in the printing industry to be definitely certain that a PDF output will always work. In those cases where outlines are needed, a formal QA process to assess the output of the outlined file against the original design file should be done to ensure that nothing dropped off. However, this can be a tedious process, especially when dealing with large documents. And since there is no live text, running a PDF compare based on text is impossible. Some errors might only show up when proofed visually and there is a great chance of missing something. This can be a big pain when working in highly regulated industries, where the printed document must match the approved PDF version. The question whether it is necessary to outline fonts or not really depends on what causes more pain in the process of printing the output. Just note that outlining fonts has its issues and should be taken into account in printer proofs.